There have been many times where I have wanted to stay away from Jita because of the problems caused by the sheer number of ships in the system. But however much I am able to stay away from the system there is the occasional reason to visit the busiest market I know in the galaxy. 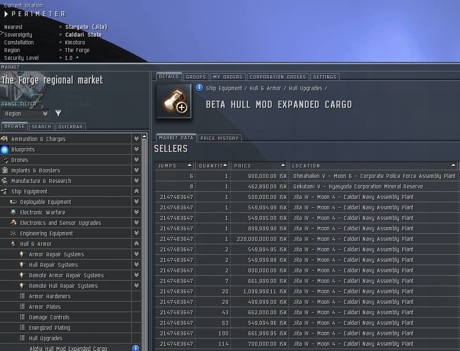 Entering Jita is a good idea when wanting to buy or sell items in the market, for an obvious example. The new autopilot navigation feature to avoid Jita automatically when calculating flight paths, a feature I was looking for recently but wasn't yet available, makes piloting around the busy system a doddle. It may affect the navigation systems in unforeseen ways, though. 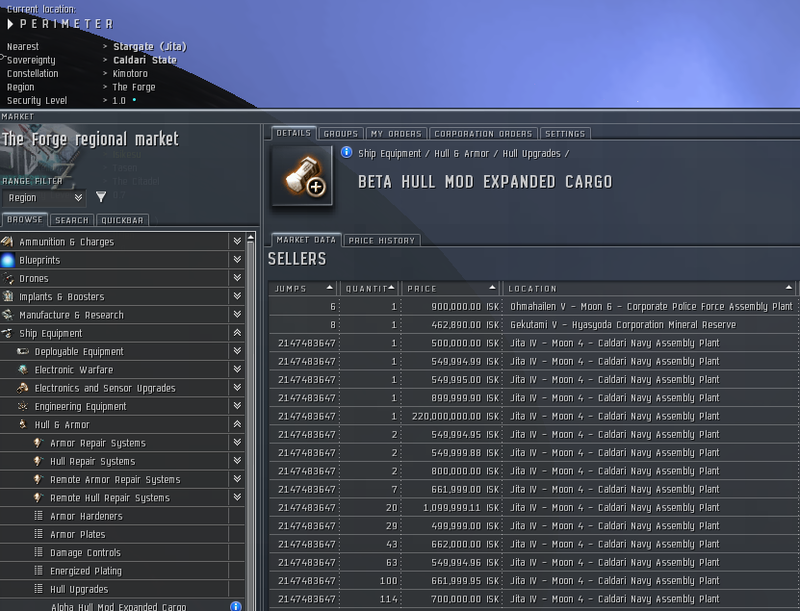 When wanting to buy extra cargo hold space I headed towards Jita whilst examining the market prices. Approaching the Jita stargate in Perimeter, I was surprised to see how many more jumps I needed to make to get to the adjacent system. Luckily, it seemed that a navigation system was trying to work out how I could get to Jita whilst avoiding it, throwing itself in to a recursive loop, as jumping through the stargate took me in to Jita in a single jump. It would have been interesting, if somewhat inconvenient, if instead Jita had been entirely displaced to be two billion jumps away in an attempt dissuade capsuleers from clogging up the system. No doubt there would still be several hundred capsuleers trading, scamming, and complaining of lag at all times of the day even if that were the case. Oh good; so it wasn't just my imagination.